Parking lots have been described as a sea of ugly blackness but can you imagine commercial congress without them? Our lives are supported and enriched by the use of cars- we need parking lots to store our cars safely while we enter a store or service providers' building. Most property owners want a parking lot that functions with pedestrian safety in mind yet still retains a maximum number of parking slots that can be conveniently accessed by its users. And, they want that parking lot to be affordably built as well. We also install the concrete elements of the commercial parking lot, such as sidewalks, curbs, speed bumps and storm drains or culverts. No need to coordinate with another company- we own all of the equipment necessary to build a parking lot. Also, our equipment, we have thousands invested, undergoes routine maintenance. No worries over our equipment breaking down and destroying your schedule. One-way lanes with parallel parking tends to irritate some drivers that want the ability to approach the parking space from 2 directions. If you ever had to maneuver into an angled parking spot from the wrong direction, then you know how frustrating it can be. Parking lanes that abruptly end without way to turn around reflects badly on the business. One gets the impression the business just wanted to squeeze in the maximum number of parking spots then the maneuverability of their parking lot. Some drivers will avoid badly designed parking lots, and look for competitors with more comfortable parking. A good parking lot provides a clear unambiguous pathway to a parking spot. Unobstructed view of the entire parking lot that shows all of the parking spaces is best. The safer parking lot plans put the parking spaces parallel to the buildings entrance. Thus, any drivers mistaking the gas pedal for the break won’t hit the building. Bollard’s (those big red cement balls outside of Target) could also be placed at building entry points to stop run away cars from causing harm. When a designing a business parking lot, the management needs to avoid skewing the budget mostly towards the building and underfunding the parking lot. Best to get estimates for both early on. Because state regulations have requirements for parking lots, such as the number of slots are related to size building size, load capacity for pavement, and handicap requirements. With a skilled parking lot contractor on your side, mistakes are less likely. All clients requiring paving services should seek at least 3 complementary onsite parking lot assessments. Since most honest companies will have the same expenses, don’t expect the pavement services quotes to differ by more than 25 %. If you get a low-ball quote then something is wrong with that contractor. He could be using day laborers, does not carry a license, can’t provide proof of insurance or is using substandard materials. Seattle WA Paving will quickly respond to a request and schedule, at your convenience, a time to look at the property. Once there, we will listen to your needs and desires, inspect the property and discuss any problems we foresee. Within a day or two, after evaluating all information gathered, a written proposal will be finished and at your preference we will E-mail it or deliver it in person. ​Water is perhaps the most destructive force acting upon parking lots. If it’s not directed away from the parking lot to drainage retention ponds or managed waste water, it will either cause standing water on the parking lot or seep underneath the parking lot into the subbase. When water settles on the parking lot surface, it begins to dissolve the binder or glue holding the asphalt together. Water that seeps into the subbase of the pavement will erode the stable strength of the pavement causing cracks then potholes. ​Grade settlement or depressions show up as a collapse of a small area of pavement. They are mostly caused by improper technique when grading and compacting the subbase and layers of asphalt. Grade depressions can repair by using a tack coat on the bottom and sides of depression then applying an asphalt patch or milling it then applying an asphalt patch. ​Block Cracking shows up as large oblong shapes connected by cracks. They are caused by an asphalt mix that was too dry- not enough binder. Block cracking can be repaired with a thin overlay. ​Alligator cracking shows up as several small oblong shapes connected in such a way to look like alligator skin. Alligator cracking is caused by a heavy load beyond what the pavement was designed for, moisture intrusion into subgrade and weak subbase (improperly compacted). Alligator cracking can be fixed by removing all damage pavement, including damaged subbase, then rebuilding the subbase and finally placing a patch. ​The above pavement failings are a few examples of several types of pavement distress that we can repair quickly without blocking off the entire parking lot. We can work on a section at a time, and have no problem working on weekends (rainy weather in Seattle forces us to be very flexible). ​Parking lot resurfacing removes an inch to 2 inches of pavement with milling- blades that chop it up and, at the same time, vacuum up the pieces and send it into a dump truck. The milled pavement is then cleaned and a tack coat laid down before laying the asphalt layers are laid. Resurfacing is more appealing as a fix for renewing large parking lots because its more affordable than a full reconstruction, and takes less time. Resurfacing also makes the parking lot look like new and has a fairly long lifespan of 8 to 10 years with regular maintenance. ​The day the asphalt parking lot is laid it starts ageing. Normally an asphalt parking lot will function for 10 to 15 years. As it weathers the parking lot loses its binder as it oxidizes (loses substance). Asphalt binder is the black goo that holds the aggregate together and keeps the pavement flexible. Slowly the black pavement will lighten to grey, become brittle and finally crumbles into aggregate. Periodic sealcoating (slows oxidization) in tandem with repairing cracks immediately can increase its functional lifespan to 30 years. To double the lifespan of a parking lot with regular sealcoating and maintenance, is much more budget friendly then the full reconstruction of a parking lot every 15 to 20 years. ​Parking lots have curbs of concrete edging the edges of the pavement. This helps to keep the water from the asphalt base, gives a visual end to the parking lot and keeps people from parking where they’re not supposed too. Concrete is stronger and longer lived than asphalt which helps especially at the edges of asphalt where it’s weaker. Concrete pads laid in front of dumpsters or loading docks will strengthen the load capacity of the pavement that regularly receives heavy loads. Thus, stress fractures on these pads will be less likely. Seattle WA Paving also has an advantage over its competitors- we can build all concrete forms needed for the asphalt parking lot. This provides our clients with a friendlier price for both services as well as less contractors to manage and schedule around. ​When you contact Seattle WA Paving, all you’ll hear from us is “WE CAN HANDLE THAT”. 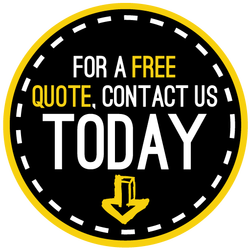 Give us a call, text or fill out the quote form, at the top right hand corner of the page, and give us a chance to provide a written detailed project quote. Keep in mind that we are license, insured and bonded in the State of WA. We do not hire day laborers, all our employees are full time.